How to Evaluate Bulk Fuel Suppliers - Allied Oil Co. Your New Jersey business depends on consistent and reliable Bulk Fuel supplies to keep your customers happy, but what are the criteria you should use to evaluate potential Bulk Fuel suppliers in your area? If you own an independent gas station, a truck fleet, or you have an onsite generator that requires a consistent fuel supply, choosing the right supplier can make your life easier. The service areas of your supplier are also critical. If your location is a long stretch by the supplier, you may experience erratic delivery times or additional transport charges due solely on your location. Allied Oil services Northern New Jersey areas with scheduled Bulk Fuel deliveries, so if you are located in our service area, you can be assured our trucks are consistently in your area. Fuel purchases can be one of the biggest purchases a company can make, spending a minute to talk to other companies about a supplier’s reputation can be time well spent. Are they known for providing reliable service, for having people ready to support their customers, for having people knowledgeable about their business, for providing fair pricing, for reliably keeping businesses fueled? Do they talk about their long-term service or do they only talk about today’s super low crazy price? Do they ask about your needs? Are their customers with them for years? Of course, pricing is an important consideration; however it’s only one of several. Fuel pricing changes daily, almost hourly, due to global market influences well beyond the control of local fuel suppliers. However your pricing should be competitive for the service you need. 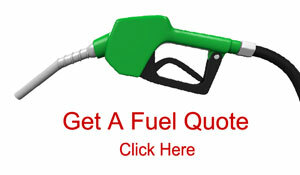 For Allied Oil's current pricing, it is always best to call our office at: (908) 575-7577.